Lou Scannon – IN COLOUR! 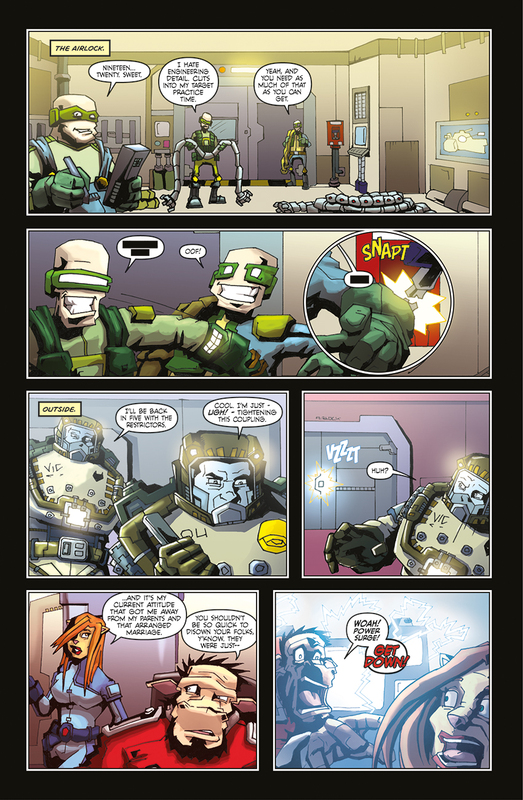 So, I recently wrapped the lettering on issue #7 of the UK small press comic Lou Scannon. Without question, this is one of the most fun books I get to work on. It’s the brainchild of Dan Harris, Kris Carter and Jim Bampfield, who have put a lot of work into earnestly pushing the book at UK conventions and small press events. And it pays off! It’s great to see such dilligent, hardworking guys gaining an audience for what is, quite honestly, a really fun book. Did I mention it’s soon to be a major Hollywood motion picture starring Tom Cruise and Rachel McAdams? No? Eh. Probably because it’s not. But, whatever. 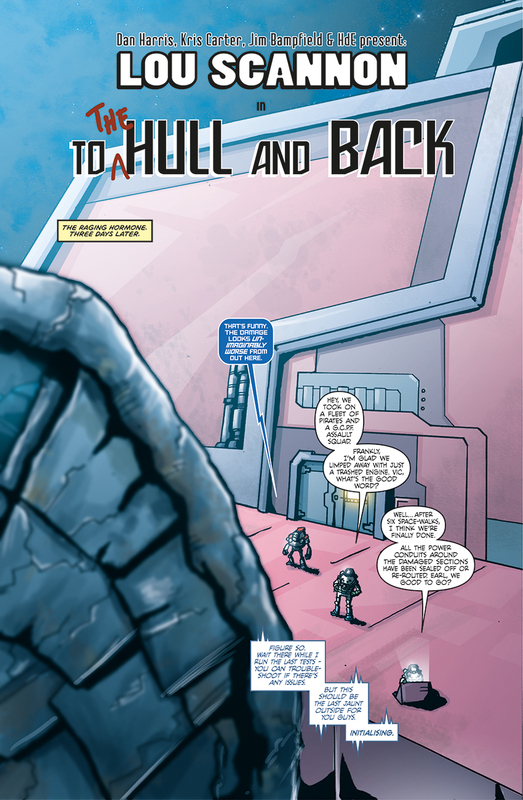 I’ve been lettering Scannon since issue #5, but issue #7 marks the beginning of the second volume, and I was given free reign to re-design the lettering on the book. Having worked over Dan’s artwork on my short story ‘A Star Falls’, which appearedin the Metaverse 2014 Anthology that was launched at the Cardiff Film and Comic Con in March this year, I already had a few ideas. hence, I’ve ditched Blambot’s AshcanBB and broken out some curved balloon tails. ANYWAY! 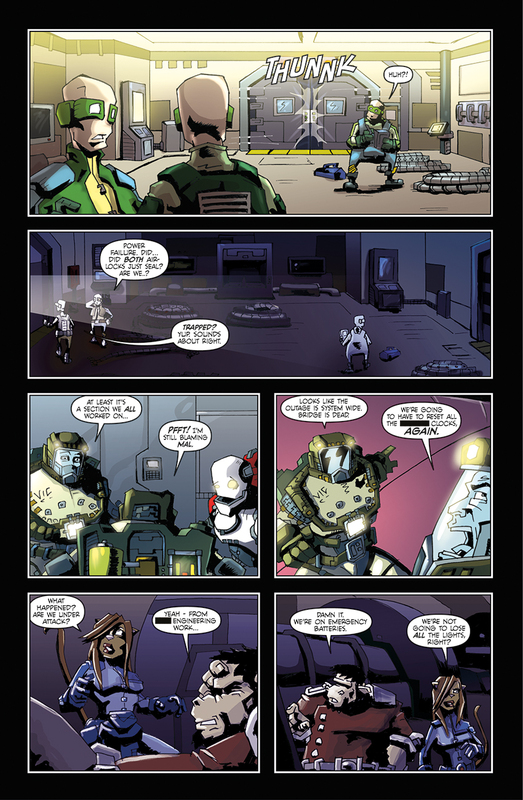 Here, presented for your edification, is a peek at Lou Scannon #7 – and you’ll notice that it’s in colour! The print edition itself is rendered in greyscale, but here, in something of a first, you can see the work of uber-colourpunker and general top bloke Kris Carter in all its glory. The book’s a bit sweary (in entertaining fashion) so I’ve censored profanities here – just to keep things family friendly. Click to view each page at its best. If this whets your appetite for more of messyrs Bampfield, Harris and Carter’s particular brand of Red Dwarf-esque comedy and hi-jinks, you can order the issue (and issues #1 – 6 ) online at the official Lou Scannon website. And if you’re looking for a capable colourist who attacks his work with vim, vigour and (most importantly) industry standard software, Kris comes highly recommended! His previous published work includes stuff for Transformers, Doctor Who and IDW’s Wynnona Earp comics. You can find Kris on Facebook, via the link below.